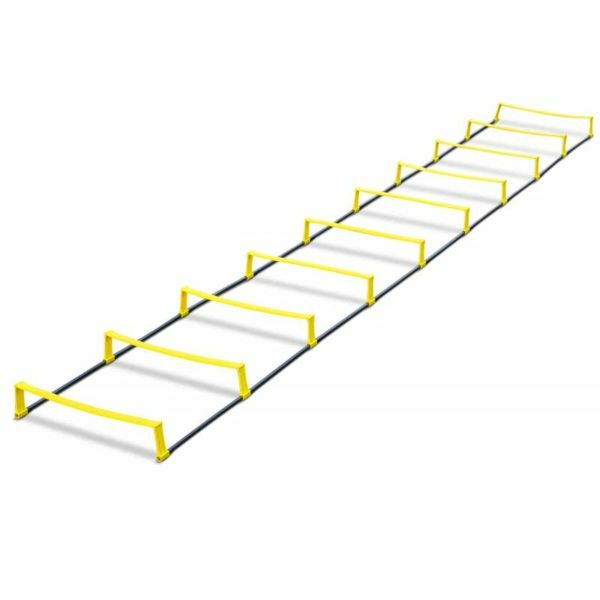 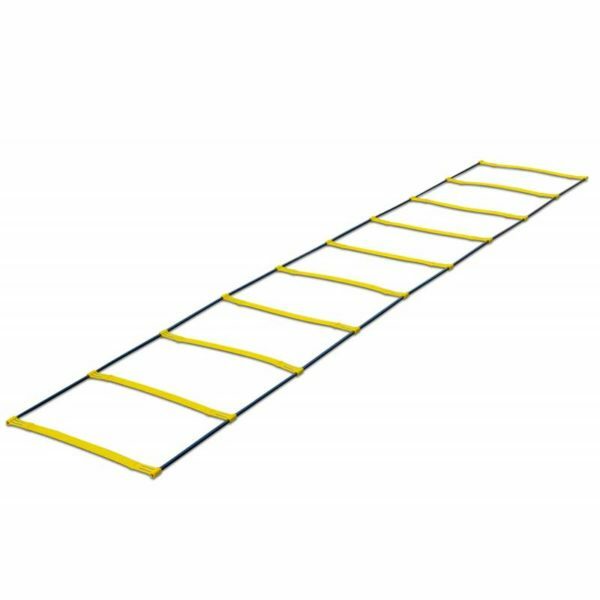 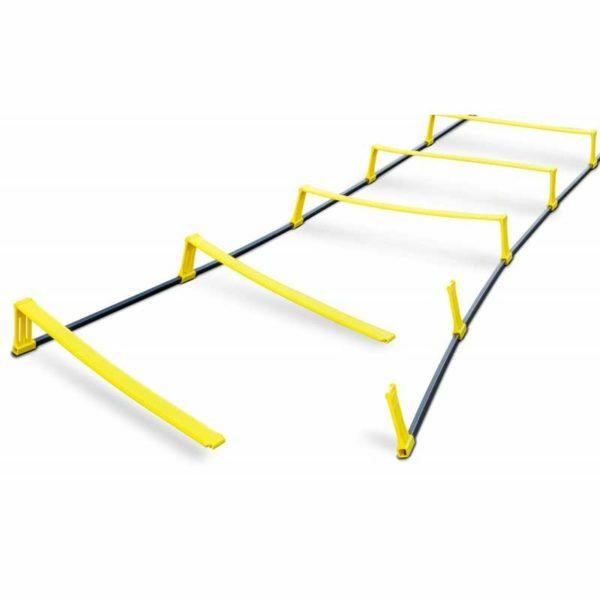 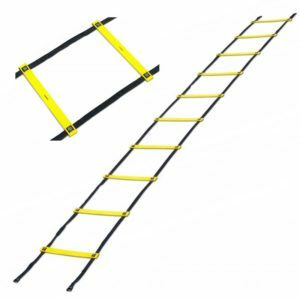 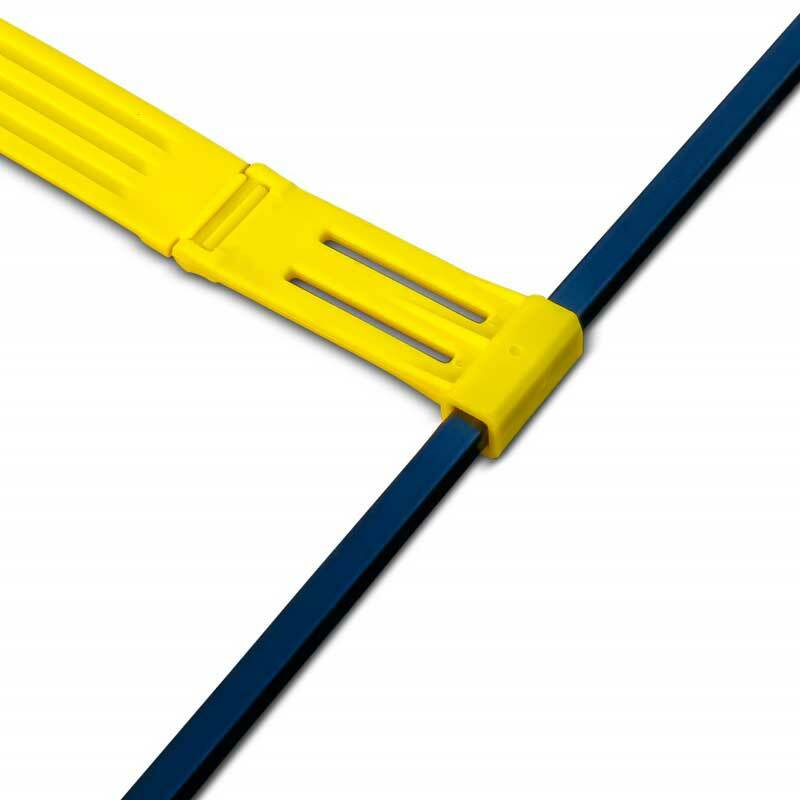 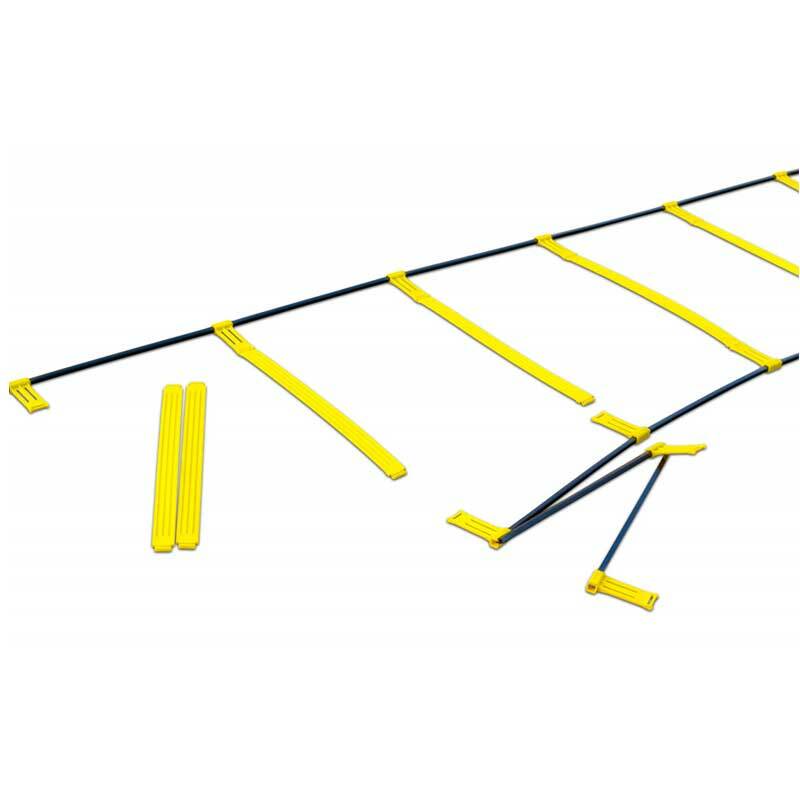 This agility ladder is characterized by its special rungs. 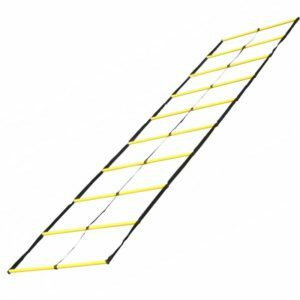 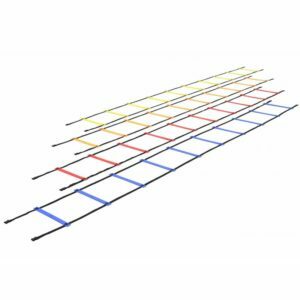 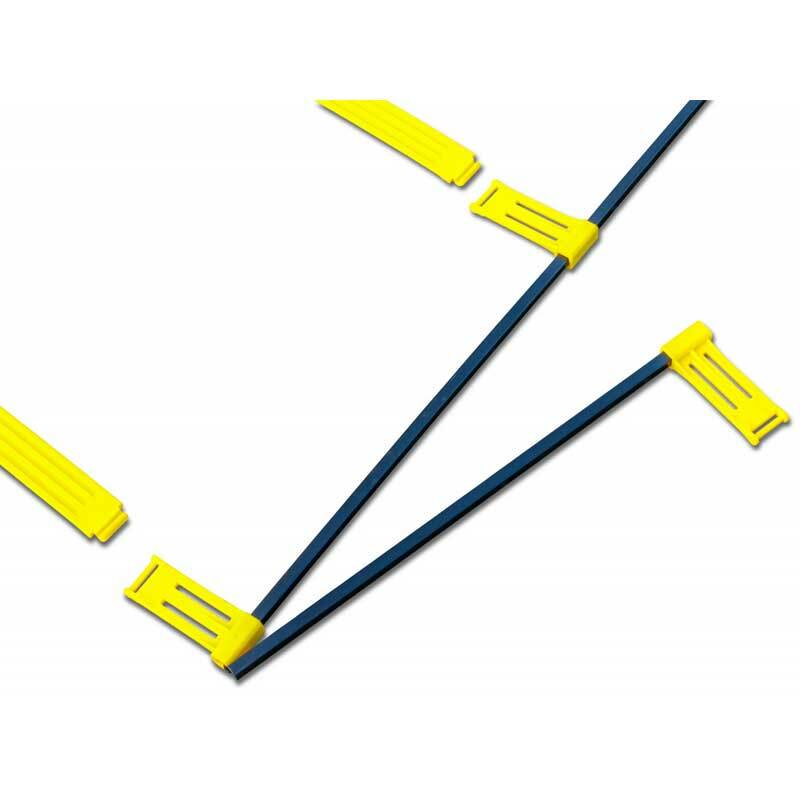 These rungs can be set to a height of 10 cm, but they can also be used lying flat on the ground. Thus, a particularly versatile coordination training is possible, which brings variety in the normal training routine. 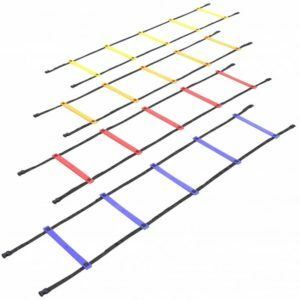 The rungs are also very flexible and simply give way without breaking if an athlete steps on them. 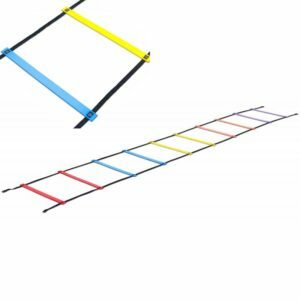 The two black square bars can be folded and the rungs are removable. 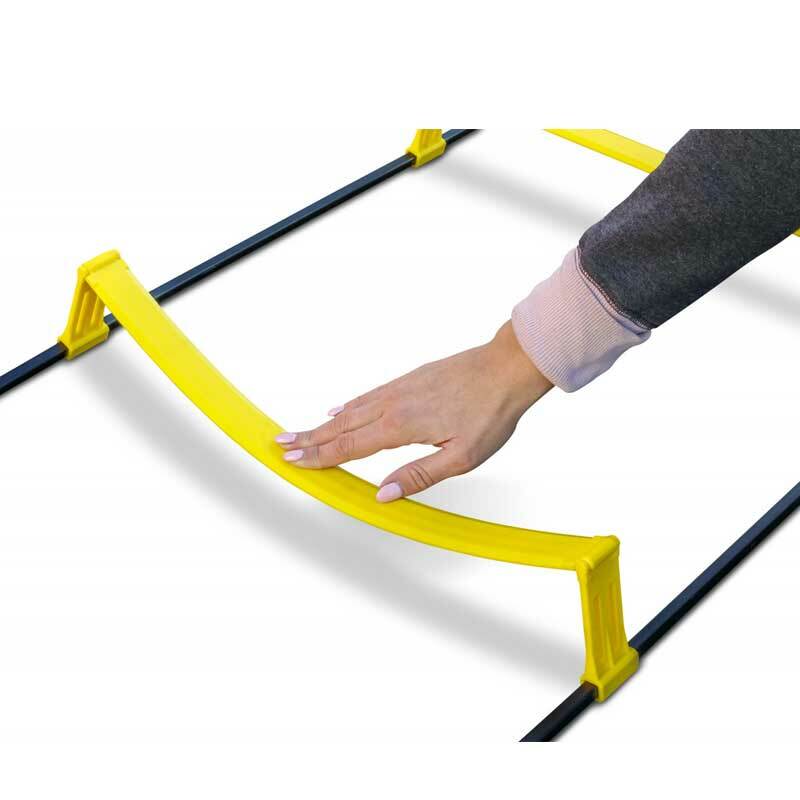 This way, everything can be space saving stored and transported in the included carrying bag.